Most of the time, living in London is much like living anywhere else. We sleep, we grocery shop, we clean the house, we do laundry, we tend to the dog, we make food, we go to work, and we watch TV. The "grind" is similar to most people's, well, daily grind. But living in London also means that we have a wealth of world class entertainment options at our finger tips. Our church is literally 2 tube stops from Leicester Square, where when you pop up from the underground you find yourself in the heart of the west end, surrounded by theaters and shops and lights and full on excitement. And most importantly, the half price ticket booth for west end shows! So yesterday afternoon Doug called me and said, "Hey, there's a show on that's offering tickets for £10 at Leicester. Why don't you go down and see if we can grab a couple." So off I went. And it was such fun to be in the midst of the what makes London, London! And our whole evening served as a reminder to break from the grind and remember to take advantage of this incredible city that we are privileged to enjoy right now. It takes effort and money but it's worth it every time. 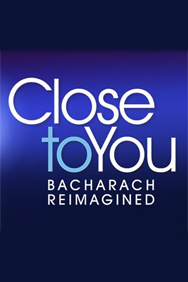 So, there were indeed £10 tickets available for Close to You, which was billed as Burt Bacharach re-imagined. Now Bacharach is one of those amazing musicians who has written so many songs you forget what a deep impact he has had on the music scene. And remarkably, so many of the songs are songs that people of a certain era (yes, us) happen to know all of the words to! So while we knew little about this show, we figured for £10 it had to be worth our while! So, I had some time to kill before Doug joined me so I popped into a restaurant and had a nice glass of wine whilst talking to the young bartender. She was very sweet and told me that I was a nice person before I left. Warmed my heart. Doug showed up and we needed food. We happened upon Jamie Oliver's Diner, which seemed promising but was just OK. It was easy to get a table and not noisy but a bit overpriced (as many things are in London) for just average food. Still, it was nice to share a meal together in a new place. We still had a bit of time to kill so we ventured into the M&M's store! 4 levels of M&M marketing genius. On a Thursday night in November this place was buzzing. Crazy. Many cute things...like M&M road...with the candies re-creating their own version of Abbey Road! The way you got candy was to take a baggie and dispense from these giant holders. The price is by the gram so it's very hard to know what you are talking about. In honor of France, we tried to layer blue, white, red peanut M&M's to enjoy during the show! The most expensive bag of M&M's ever...were they gold-plated? We almost had a heart attack when we checked out and this tiny bag of average candy was £6! Good thing our theater tickets were only £10! It was then show time! 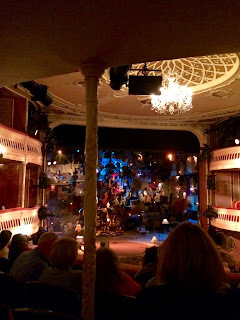 Now, our tickets were so cheap because they had a "restricted view". Turns out the view was barely restricted and we scored a great seat without paying a premium price. Plus, the row we were in and the row behind us were empty so we could spread out and lounge throughout the show! The show was fantastic! A group of very talented young musicians wove a seamless montage of Bacharach songs together with clever staging and simple choreography. Many of the songs had been re-arranged but it was such a delight to hear the familiar lyrics and recognize the under tones of the original song. Some of it was simply beautiful and moving. It was quite romantic and a real joy to share this with Doug. Every relationship needs to be transported to another place once in awhile! The set was quite cool, with guitars and couches and ladders and other items all set on the back wall. 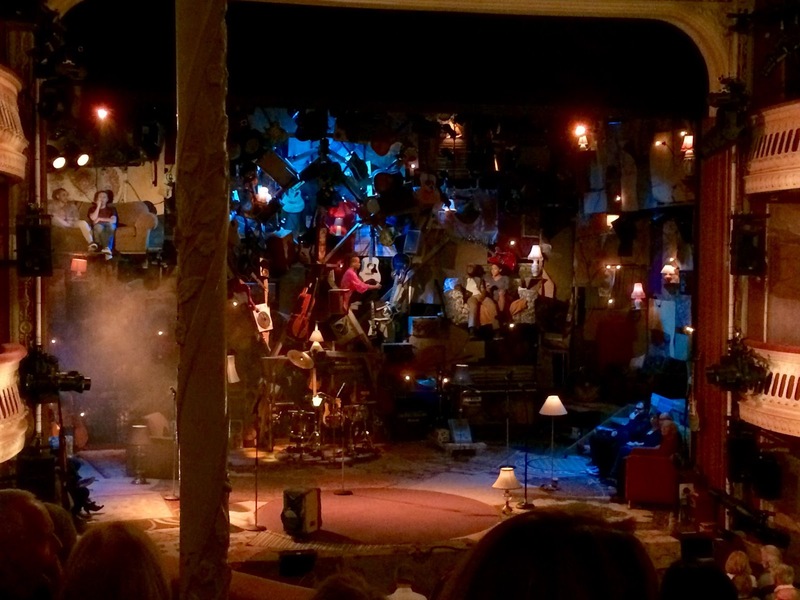 The way they used a variety of lamps on the stage for lighting and special effects was particularly clever. The lead guitarist and singer was a hugely talented musician and his guitar playing was mesmerizing at times. All in all, it was just pure fun and heart-warming entertainment. The show ended with the cast coming together with ukeleles and leading a sweet sing-along version of Raindrops Keep Falling On My Head. It was somewhat amazing that I knew every word, along with everyone else in the theater. When was the last time I'd heard that song? It reminded me that raindrops are no cause for a bad mood, which is a very good thing to remember here in London. I would absolutely recommend this experience to anyone able to take advantage of it. This show is not on the big scale of Wicked or Lion King but for a great night of beautiful music, you can't really beat the price. That's also part of the fun of living here...we have the time to venture into some of these "second tier" shows and be pleasantly surprised by what unfolds. The show ended, we jumped on the tube and were home a half hour later. Lucky us. We just have to remember to step away from the grind now and again and step into the amazing world that is London.